The knowledge of our designing and engineering staff is boundless, allowing them to utilize the best tools at their disposal and create one of a kind designs. We can create any kind of vinyl based product regardless of the requirement. 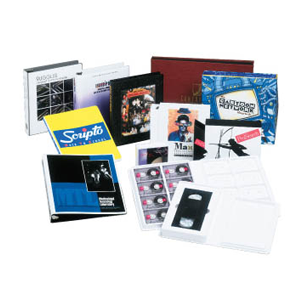 Our custom product offerings include binders, VHS tapes covers, books and magazines, menus, and various types of multimedia packaging.